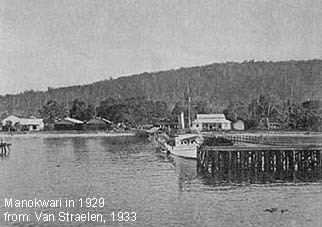 From December 1928 till May 1929 Royal Highness Prince Leopold III and Princess Astrid from Belgium made a voyage through the archipelago of the Dutch Indies. Encouraged by the wonderful stories of A.R. Wallace he wanted to visit at least some of Wallace's visited places. 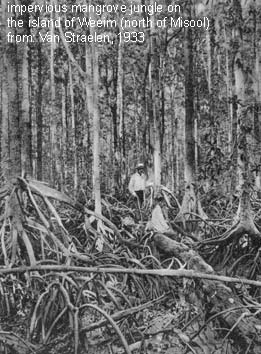 Prince Leopold did not only just visit the islands, but also collected animals, among which many insects. The preserved and in many cases described material is deposited in ISNB (Brussels). Some of the places he visited in and around New Guinea are Misool, with the smaller island Weeim in the north, the Pisang Islands, Adi Island, the south coast with the Triton Bay, and in the northern regions Sorong, Manokwari, the Arfak Mountains, with the Anggi Lakes and the coastal village Mumi and the island of Yapen. 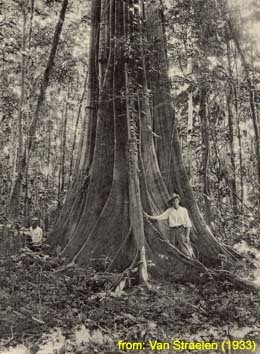 In March 1973 King Leopold III returned for a second visit to New Guinea. 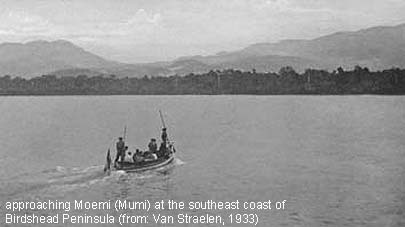 He also visited the Baliem Valley (Wamena and Jiwika), but he did not collect any insects during this voyage. 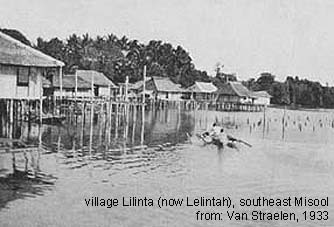 A soyant detail is that King Leopold stayed for one night in the missionary house in Jiwika and slept on a large matras. During their visit to Jiwika in 1993, Rob de Vos, Arnold de Boer and Twan Rutten, unawaringly slept on the very same matras in the same house! 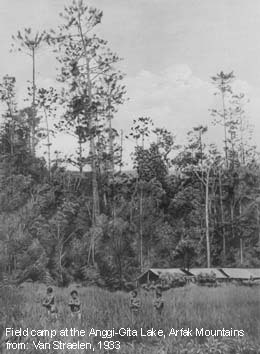 Pater Camps himself (stationed in Biak in 1993, but unfortunately not living anymore), who builded the missionary house and invited King Leopold to stay there for the night, told us on Biak that this was indeed the very same matras. Now we wonder what on Earth moved us to sleep on that dirty and moisty matras. Anonymous, 2004. Léopold III. Carnets de voyage 1919-1983: 517 pp., Éditions Racine, Brussels. Straelen, V. van, 1933. Resultats Scientifiques du Voyage aux Indes Orientales Neerlandaises de L.L. A.A. R.R. le Prince et la Princesse Leopold de Belgique, Vol. 1. Memoires du Musee Royal D'Histoire Naturelle de Belgique (hors serie): 222 pp., 91 plates.